Acupuncture by Devon is a top-rated acupuncture clinic in San Diego, California, run by Devon Vernetti, an expert and passionate acupuncturist with over 10 years of experience. It was voted Best Acupuncturist in San Diego in 2016 by the prestigious Expertise.com. Kolau had the privilege to interview Devon and learn what makes her acupuncture clinic the best. You received the 2016 Best Acupuncturists of San Diego award – what makes your acupuncture clinic different? DevConfidence, humbleness and compassion. Acupuncture is growing in popularity but patients want someone who knows what they are doing because there is still fear and skepticism. I explain how acupuncture works, how it can help them and the expectations I have of the patient in their daily lives to improve their situation. Patients also want someone who is willing to listen to their story, develop a health strategy and then be their advocate throughout the journey. My patients always know I am making decision in their best interest even if it means I have to refer them to another medical practitioner. There is no ego, just what is best for the patient. 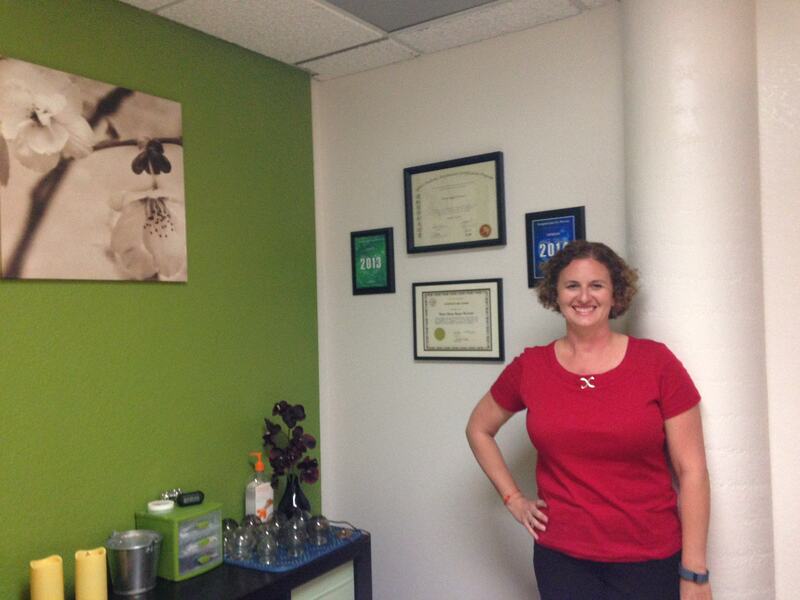 You are also the highest-rated Yelp acupuncturist business in San Diego. What role has Yelp played in your business success? Yelp has been huge for my business. There are a lot of acupuncturists in San Diego because the largest school in the U.S. is in San Diego. You have to really establish yourself from everyone else. I am fortunate to have such generous and grateful patients that will share their stories with others. What is the channel that drives most customers/leads? Is it Social Media, Yelp, the blog, word of mouth,…? Yelp and word of mouth make us the majority of how I receive new patient inquiries in my practice. While there are many people who are very interested in trying acupuncture, there is still skepticism so being able to hear or read about someone else’s experience is extremely helpful. My patients are kind enough to share their stories with others so they too will benefit from acupuncture and Chinese medicine. What is Acupuncture by Devon doing for customer retention? My clinic does monthly newsletters about all of our services and encourages patients to re-engage through birthday massage discounts. Our office manager periodically call to check in our patients we have not in some time. I have a Facebook, Instagram and Google + account that allows me to make announcements, post articles and blogs, and create mobility videos so my patients are constantly educated and my presence is a constant in their lives. I am contemplating MailChimp in the new year but haven’t committed yet. What is Acupuncture by Devon doing to encourage patients to refer them to their friends and family? I send out emails a few times a year asking patients to join my social media, write me a testimonial for my website or send my website to someone they think would benefit from acupuncture. Many of my patients find me through Yelp, so they are willing to return the favor and write reviews to encourage others to give acupuncture and me a try. What is the main threat that the acupuncture industry faces today? The biggest threat to the acupuncture industry is lack of business management. Acupuncturists do not often have the luxury of salary jobs where someone else markets, makes budgetary decisions and engages in client/patient retention. Running a business takes time, energy, and money well invested. Most of us just want to treat, but until you have grown to hire a marketing team, office manager and bookkeeper, we have to do it on our own and the pushback is hurting our entire industry. What is the main opportunity that the acupuncture industry faces today? Increasing healthcare costs and patient frustration with the Western medical system. Acupuncture and Chinese medicine is powerfully effective, non-invasive and low cost for those frustrated with not being heard and being handed pharmaceuticals with no long term care plan. There is a growing lack of trust with medical doctors and patients are looking for alternatives. What advice can you give to small acupuncture clinic that struggle with customer acquisition? Marketing is a necessity! I think most acupuncturists hate it and honestly we were not prepared in school to conduct the business end of things and this has been a failure for our profession. If you hate to market, create a team to help you like I did. Yelp, Kolau and blog posts have all helped me to have a continuously full schedule throughout the year. What advice can you give to small acupuncture clinic that struggle with customer retention? Practitioner need to educate patients on all the various ailments that acupuncture can treat. I work with couples trying to get pregnant. During our time together, we discuss treatments to assist with pregnancy symptoms and postnatal care. I also treat kids, so my patients are aware that once her child joins us in the world, I can be of service. My goal is to a family practitioner so whether hubby has a bad back, mommy is fatigued or the little one has allergies, I can am their first call. Give me a prediction. What will be the most important customer acquisition channel or strategy for acupuncture clinics for the this/next year(s)? The number of people going to school to become an acupuncturist has grown tremendously even in the 8 years I have been out. Finding a way to differentiate yourself from other practitioners is going to become more difficult. Internet exposure and social media will become increasingly important to a thriving business and having a streamlined and affordable option, like Kolau, will be essential if it isn’t already.